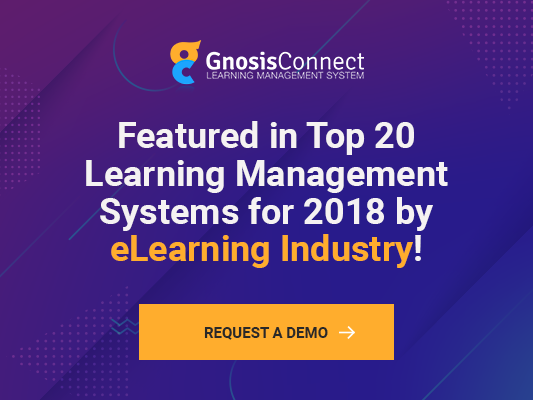 A learning management system (LMS) can be beneficial for your company. You can create online courses and training which allows the employee to complete the work whenever it is convenient for them. However, one of the most important reasons to use LMS with your business is to track and measure the results of using such a system for your company training. Learning management systems can track a variety of information that you can utilize to determine the effectiveness of the training. Here are a few reasons you should be tracking this information if you have an LMS. They are also good reasons to implement an LMS if you don’t already use one. One of the most important reasons to track employee learning is to monitor their progress. If you are in an industry which requires specific hours of training or you have employees who must meet continued education requirements, you can use an LMS to track the progress of all your staff members. You may have that one employee that waits until the last minute and scrambles to get their training hours in. If you have a report that lets you know someone is falling behind, you can send out reminders or even take further action to prevent issues later on. Test scores can be tracked with an LMS, which tells you how well an employee is retaining the information being presented. This data lets you know if your training materials are effective or if you should make changes. In an industry where safety is of prime importance, test scores let you know if an employee understands the requirements and information being presented. You can see areas where improvement is needed and provide further information and training before an accident happens. You can run reports that tell you the test scores on the material being presented to your employees. If you see an average test score which is low, you must decide if there’s an issue with the information being presented or if you need to make other changes. If you notice a drop in test scores, you can investigate the cause. Perhaps a new supervisor has been hired, and information isn’t being presented in the same way. A new process may have been put in place, which doesn’t match the testing you currently have. One of the primary reasons to monitor your employees’ training is to determine if they are competent to do their jobs. Test scores may tell you how well the employee understands their job and if they need further training. You can compare positions in one department or multiple departments to determine if there are areas that need to be addressed. You may determine that one department consistently scores low. This would indicate that either the supervisor needs to provide more information to their employees or further training is needed. A learning management system allows you to create and run reports which gives you important information on your training materials and the knowledge of your employees. You can use this information to improve both your online and in-person training. The end result is a better-trained company that is more efficient and effective in providing the product or service.